On February 5, 2017, Rev. Ross Johnson, Director of Disaster Response for the Lutheran Church Missouri Synod (LCMS), Rev. Jacob Deal from Sts. Peter and Paul Lutheran Church in Sharon PA, Rev. 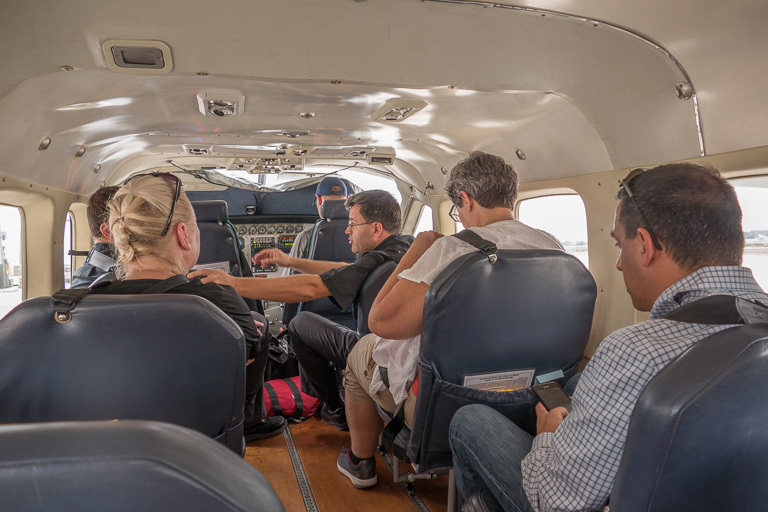 Paul Toulotte, Southern District President for the Evangelical Lutheran Church of Haiti, his wife Jeannie Toulotte and Jackie and Mark Rychel from Ministry In Mission headed to Jeremy Haiti to see the recovery efforts that have been financed by the LCMS. Before heading to Jeremy the team visited 3 wells recently dug by Water for Life as part of the relief effort. Seven more wells are to be dug, some in very remote areas. Special thanks to Jeff and Kim Nyquist from St. Peter Lutheran Church in Schaumburg IL for leading that effort and the LCMS for funding it. It was so special to stand there and watch people come to the well for fresh water. Traveling to Jeremy and beyond was difficult by four wheel drive with very rough or no dedicated roads but so worth it.Tuesday we left Jeremy at 7am and returned at 9 pm. 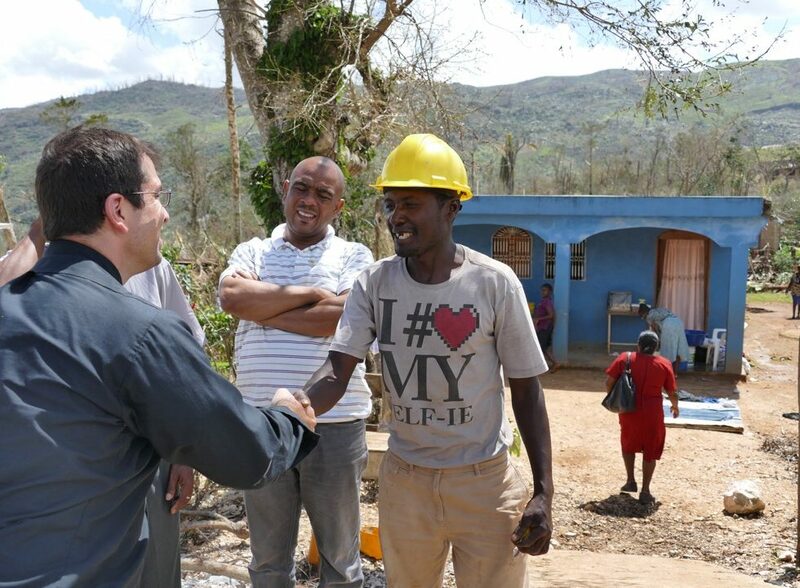 We met with many Pastors in the mountains of Haiti, viewed their new roofs that the LCMS had paid for and assessed the damage to their churches as part of the next wave of relief. We also brought as much Rice, Beans Pasta an oil as we could carry to help these people whose crops were wiped out by the Hurricane. We also prayed and had short devotions with the Pastors. At the end of the trip we had a meeting with 10 Pastors, some drove two and a half hours by motor cycle to meet with us. We listened to their concerns and needs. Their main concern was not physical but spiritual. They wanted more biblical training so that they could serve their congregations better. 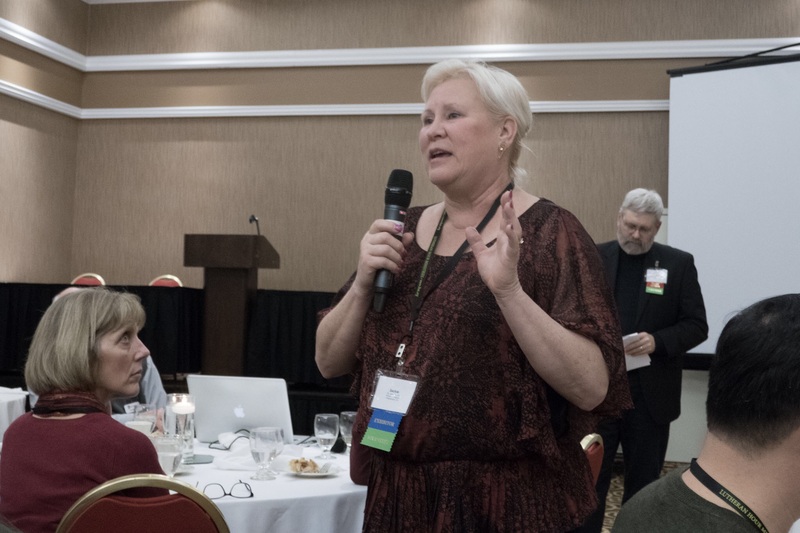 Last week at the Association of Lutheran Ministry Agencies (ALMA) conference in St. Louis Missouri, Ministry in Mission received the ALMA Best Practices award for the Ministry In Mission Elder Care Program. Jackie Rychel accepted the award on behalf of Ministry In Mission. Ministry In Mission also had a display in the exhibitors area at the conference, The conference was attended by mission agencies from as far away as Africa. Information was presented on a wide range of topics by different presenters. Tim Hetzner, from Lutheran Church Charities, an organization that frequently partners with Ministry In Mission, participated on a panel about reaching millennials. As I reflect back on my first Ministry in Mission trip to Haiti, mountains are what comes to mind. I’m not really certain how, but in all my trip preparations, I missed that Haiti is a mountainous country–not hills like I’m used to from southeastern Ohio, but MOUNTAINS that stretch into the clouds. I got to know those mountains quite well within hours of landing in Port-au-Prince because we needed to travel over them to get to the Jacmel guesthouse. Without my eyes glued to a smartphone or a GPS to answer my “How much farther?” I was able to soak in the breath-taking beauty of the Haitian mountains and observe the life in the villages we passed through. The cool mountain air provided a welcome respite from the sticky-hot costal areas. I also experienced my first gorgeous Haitian sunset in the mountains that evening. Karleen, a mission trip veteran and one of my mentors, pointed out to me the lights of Jacmel as we came down out of the mountains. During the next three days we spent in Jacmel, the mountains became my off-the-grid weather report. From the back balcony of the guesthouse, I was able to see the mist of rain slowly creeping down the mountains, towards us and plan my walks to and from the church accordingly. When we traveled from Jacmel to Les Cayes on the fifth day, the mountains became not so friendly to me. Although most of the road was the same trek we had taken from the airport, the mountains made me feel carsick. It took two Dramamine and many mints from my other mentor, Pam, for the green feeling to pass. We spent the majority of the next two days in the mountains north of Les Cayes to check on pastors’ homes and churches, with Rev. Paul Toulotte, Southern District President of The Evangelical Lutheran Church of Haiti (ELCH) as our guide. In October 2016 the LCMS provided the ELCH with grants to repair the hurricane-damaged roofs of pastors’ homes. I cannot begin to describe how remote many of these churches were. Our group traveled in a rented extended cab pick up truck and into the back of the Southern District’s Range Rover that constantly jostled us. (I took two Dramamine with breakfast each morning.) Our running joke with Pastor Toulotte was we could exclaim “What a bad road!” And he’d reply “No, no. This isn’t a bad road. I’ll tell you when we get to a bad road.” Rarely were the roads paved. We were “lucky” when they were covered in gravel and had guard rails. But most were one-and-a-half lane paths that twisted up and down the mountains with hairpin turns, scary pitches, and deep ruts. I saw three overturned gas tankers while traveling. Because of the hurricane and sometimes just because “Haiti is Haiti,” we had to ford streams and rivers because there were no bridges. Twice we had to walk to our desired location because the road simply ran out. The first time this happened, Pastor Toulott finally said “This *is* a bad road. We will walk from here.” The second time involved a 45-minute hike up a dormant volcano. As you might have guessed, mountains can be used to figuratively describe my first trip to Haiti. Try as I might, I have not been able to come up with my one, very best, “mountain-top” Haiti experience. For me, the whole trip was a lifetime dream come true. As a first or second grader I had completed a worksheet that asked “When I grow up I want to be a __________.”and I wrote “missionary.” So just being in another country, serving the Lord was very special. I really enjoyed the Communion service in Jacmel. It was a big deal for our close-knit family to be apart for almost two weeks. Before I left I had told Andy “I’ll be with you at Communion on Sunday.” But I wasn’t prepared for the congregation joining in a large circle that extended from the chancel and down the main aisle in order to all receive Communion at the same time. I will always cherish meeting fellow pastor’s wives “Madam Pasteurs” in the remote locations. Language made a barrier between us but hugs and handholding transcended that. I look forward to seeing those ladies again in heaven and getting to talk to them. I also loved being in a country where Christians are still valued and respected. With little infrastructure, the church *is* the body that provides food for the needy, medical care and education. It reminded me of Medieval society. Some of my smaller mountain experiences included leading Bible Studies to three different groups of women. It was neat to share via a translator my love of the Lord. I enjoyed the camaraderie of our team. There were six veterans and three newbies. I am very grateful for the kindness of my roommates/mentors, Pam and Karlene. Haitian food was also a treat. I especially liked the bananas. They were so creamy compared to their dried-out American counterparts. And yes, there were valleys during my nine days in Haiti. Some of it I expected – roughing it with no hot water and sporadic electricity and Internet. I anticipated open sewers and beggars but there aren’t the right adjectives to accurately describe them. You just have to experience them in person. The hardest valley was the heartbreak of seeing levels of extreme poverty. God allowed this to happen in deepening layers for me. First it delivering food to the elderly in Jacmel. Then it was seeing a heavily-guarded UN food convoy on our way to Les Cayes. The next day, I saw people who had to climb down a ravine to get iron-stained water from a steam. Next was seeing people go away empty-handed from a UN food distribution center. After that, I saw people whose only source of water was rainwater collected in cisterns. Lastly, playing “Itsy-Bitsy Spider” with a young girl who had the telltale orange-tinted skin and hair of malnutrition. I will never use the words “starving” and “empty-handed” without images of Haiti going through my mind. Believe it or not, I’m more grateful for the valleys I experienced in Haiti than the mountains. Timothy Keller wrote in his book Walking with God through Pain and Suffering “You don’t really know Jesus is all you need until Jesus is all you have.” Those valleys led to the best holiday season this Type-A gal has ever had. My high standard for entertaining perfection went away. I valued the time I spent with my loved ones way over mailing the Christmas cards on time. After missing two Advent services in English, I soaked up the wonderful St Mark services. And most of all, the Baby Jesus gave me the comfort my hurting heart needed after experiencing all those valleys. The very best thing is I know Jesus will someday take me to the Ultimate Mountain – Heaven. I pray that Holy Spirit helps me get many people on the Range Rover to the Ultimate Mountain. Ministry In Mission, coordinated a mission trip to Haiti in early December to Jacmel and Les Cayes Haiti. 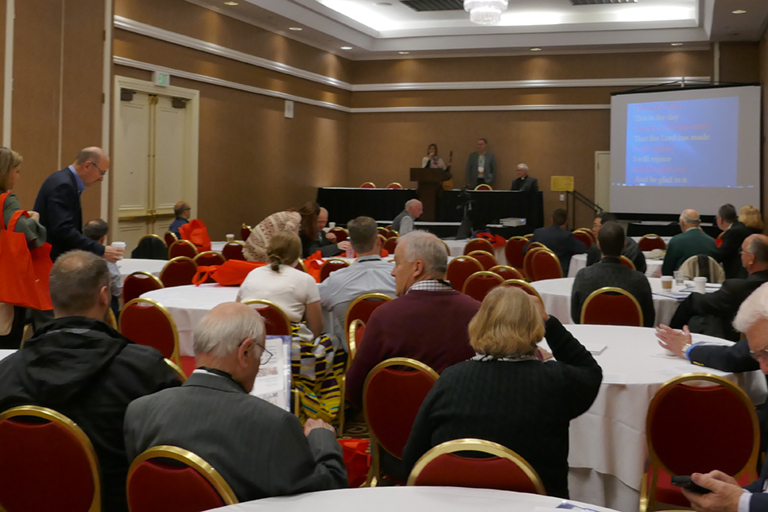 The team had members from various Lutheran Churches across two States, Ohio and Illinois. Sue Matzke, Jackie and Mark Rychel, from St. Mark Lutheran in Chesterland, OH, Pam Juris and Brian Upton from Trinity Lutheran in Cleveland, OH . Karleen Zuercher from Royal Redeemer Lutheran in North Royalton, OH, Terry Marks and Rick Harper from Trinity Lutheran in Peoria IL and Bill Morse from Good Sheperd Lutheran in Elgin IL were the team members. From Jacmel we boarded the van and headed to Les Cayes Haiti to follow up on the, Lutheran Church Missouri Synod (LCMS) Hurricane Matthew relief effort . 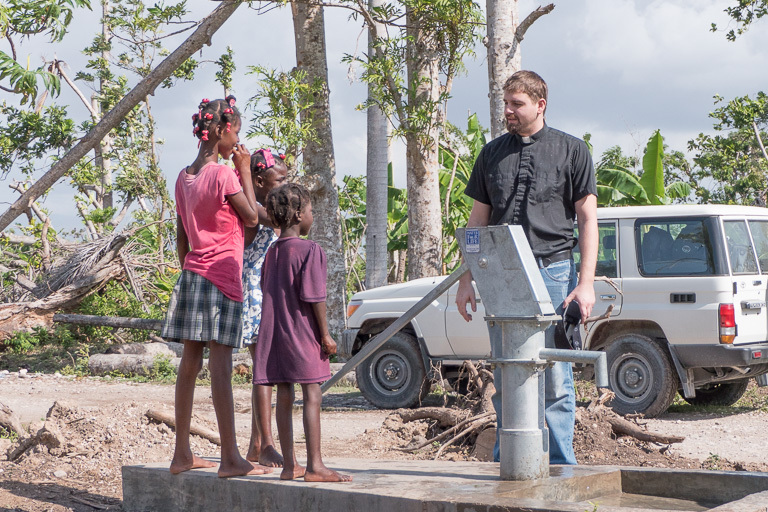 Ministry In Mission is a Recognized Service Organization of the LCMS and coordinated the distribution of funds to The Evangelical Lutheran Church of Haiti (ELCH). Rev. Paul Toulotte, Southern District President of the ELCH distributed the funds. 3. to distribute food through the local churches. Our team observed new roofs on many pastors homes. The travel in the mountains was extremely difficult by four wheel drive vehicles. In one case the members of the team had to walk for thirty minutes after traveling hours just to see a pastors house. We also saw the medical teams working doing blood pressure checks, providing clean water tablets and providing over the counter medication to those that needed it. Pastor Toulotte has been distributing food money to the local pastors. We also distributed hygiene kits donated by our local congregations back home. In addition to visiting the churches and pastor’s homes in the rough mountain terrain surrounding Les Cayes we sponsored chain saw training for some local Haitian men at the site of American University in Les Cayes Haiti, Thank You Lutheran Church Charities for the Chain Saw Donation. We gave basic training and stressed safety even though we were with out some of the usual safety equipment we use in the US. 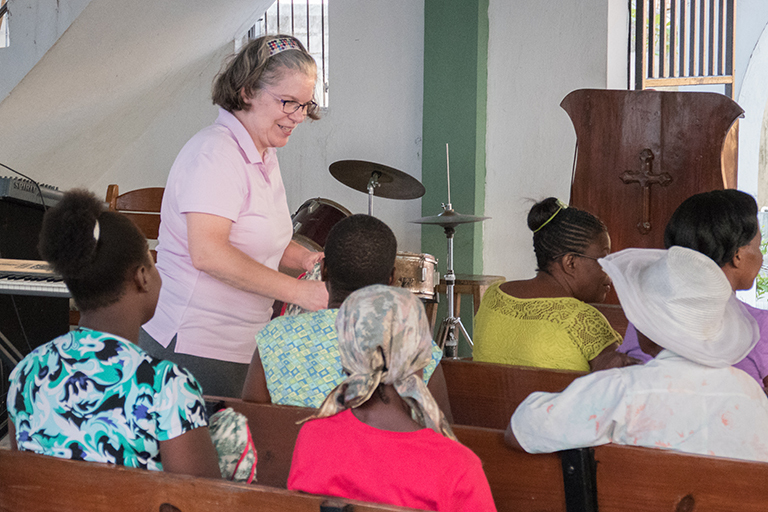 Sue Matzke also held another women’s bible study in the vestibule of the First Lutheran Church of Les Cayes. The main sanctuary was destroyed by the hurricane. One of our partner organizations, “The Israel Isidor Foundation” has a medical clinic and we made a shopping trip to the local pharmacy to help the restock the shelves with over the counter medications. The money for this was donated by the team member congregations. As a team we are grateful that God has given us the opportunity to serve people. It is our hope that by showing the love of Jesus Christ, the people that we minister to, who do not have faith in Jesus Christ, will come to know Him as their Lord as their Savior. 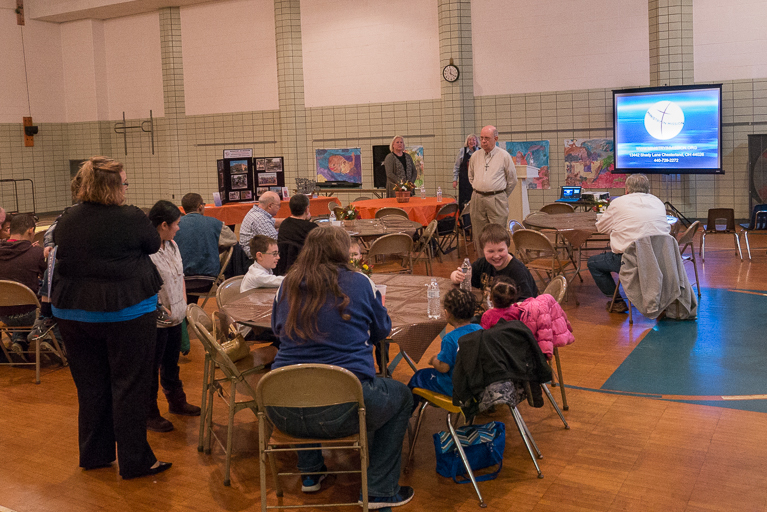 Ministry In Mission had the opportunity on Sunday Nov. 13, 2016 to attend worship and present an update on the Lutheran Church Missouri Synod (LCMS) relief effort in Haiti as a result of hurricane Matthew at Zion Lutheran church, Akron, OH. Jackie Rychel presented information on the rebuilding of roofs on Pastors homes in the hurricane affected areas. She also reported on the medical outreach teams which are being sent out to determine the extent of cholera and treatment for those that have cholera. The distribution plan to provide food for those in need was also highlighted. 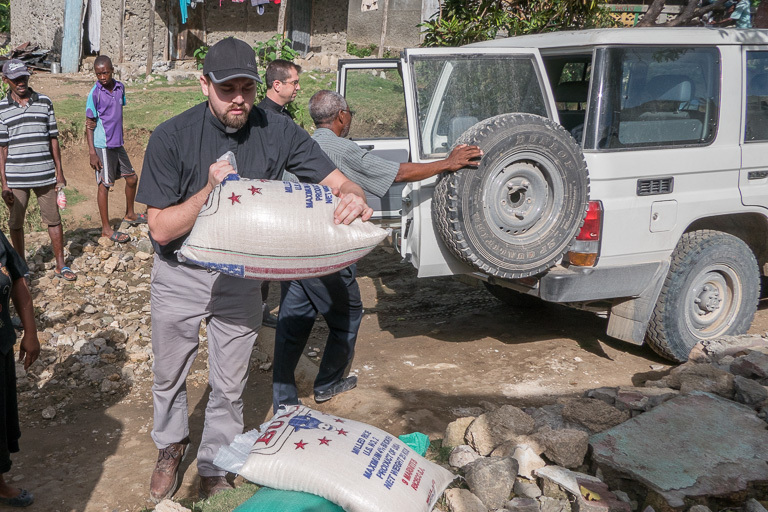 The Lutheran Church Missouri Synod Disaster Response is working through Ministry In Mission, which is a Recognized Service Organization of the LCMS to provide relief efforts in Haiti. 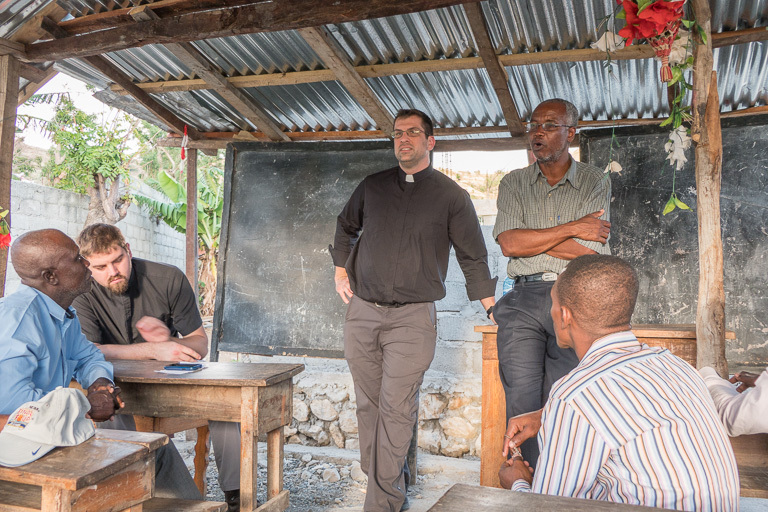 Ministry In Mission is coordinating efforts with the Israel Izidor Foundation and the Evangelical Lutheran Church in Haiti. 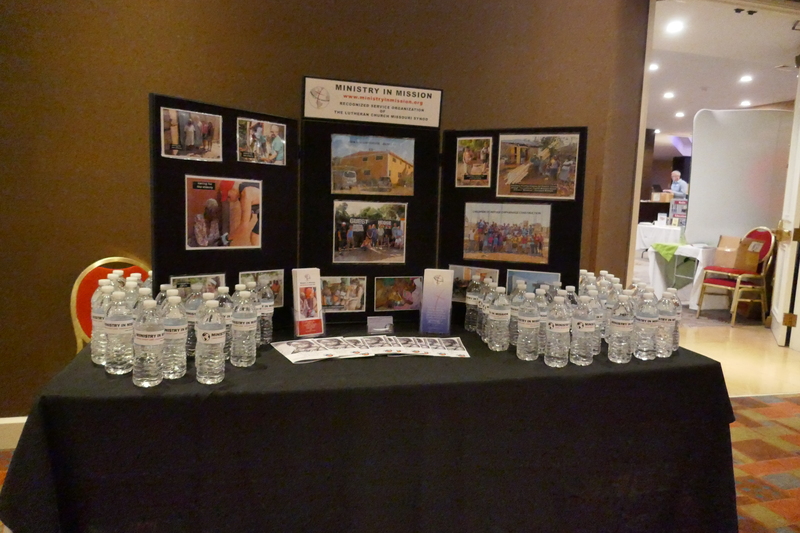 In addition to the information on the hurricane relief effort, members of Zion were invited to participate in the effort by becoming short term missionaries to Haiti through Ministry In Mission. 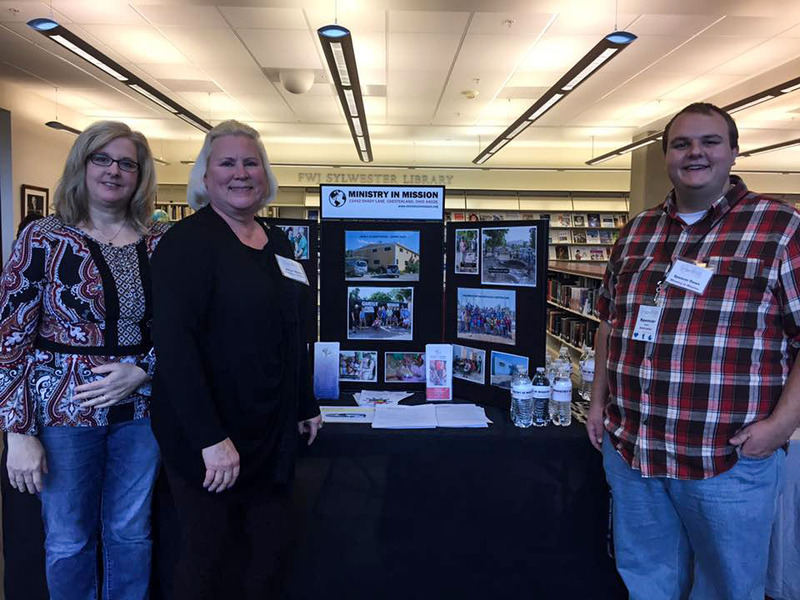 Jackie Rychel, Lorna Henderson and Spencer Owen represented Ministry In Mission at the Beautiful Feet Mission Conference at Concordia University In Portland OR. As Christmas approaches many churches are having Christmas Boutiques. Metal artwork from Croix des Bouquets, brought home by Ministry In Mission missionaries, is sold at many of those boutiques . This improves the economy in Haiti and provides funds for Ministry In Mission in Haiti. We arrived after the airlift of meals by Agape air. The meals had already been distributed with the help of Mission Evangélique Baptiste du Sud d’Haiti MEBSH. Rev. Ted Krey, Regional director for the Latin America and the Caribbean region of The Lutheran Church-Missouri Synod (LCMS), Rev. Ross Johnson, Director of Disaster Response (LCMS) Rev. Paul Toulotte, District President Evangelical Lutheran Church of Haiti, Tim Hetzner, President of Lutheran Church Charities (LCC) and Jeff Nyquist from St. Peter Lutheran Church, Schaumburg IL, met with Ministry In Mission, in Port Au Prince Haiti to have an initial meeting as to how we would best help the people affected by Hurricane Matthew. Mission Aviation Fellowship flew us to Les Cayes Haiti, the major city affected by the Hurricane. 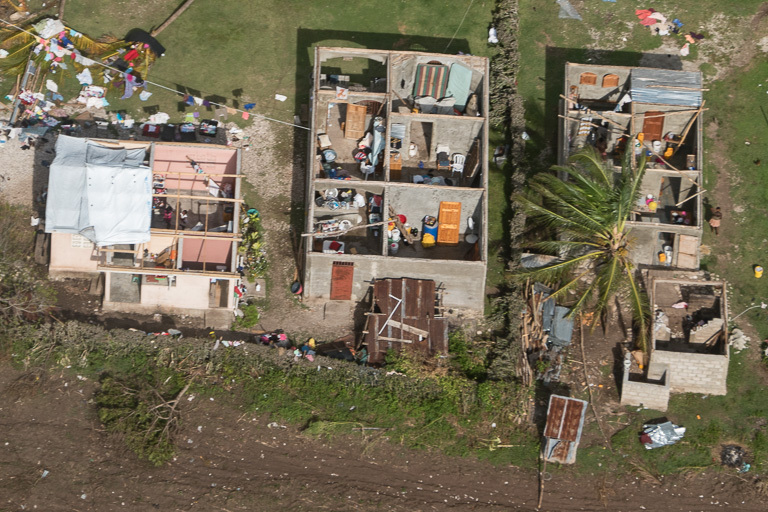 During the 40 minute flight we flew over many homes that had their roofs torn off by the hurricane. Our next stop was the First Evangelical Lutheran Church in Les Cayes Haiti. Meeting with Rev. Eliona Bernard, President of the Evangelical Lutheran Church of Haiti(ELCH), Rev. Thomas Bernard and Rev. Marky Kessa, Secretary and Advisor to the ELCH. The condition of the church was alarming, the roof was caved in, trees were down all over the yard. 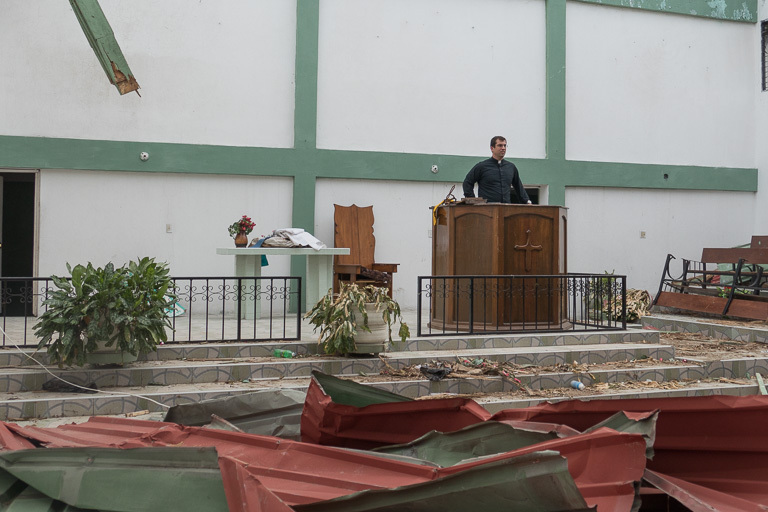 The condition of the church was typical of the type of destruction, we would see throughout the week as we traveled around the hurricane ravaged area. After surveying the destruction and meeting with the LCMS, ELCH and LCC we formulated an initial plan to the best use the funds that were available for disaster relief. 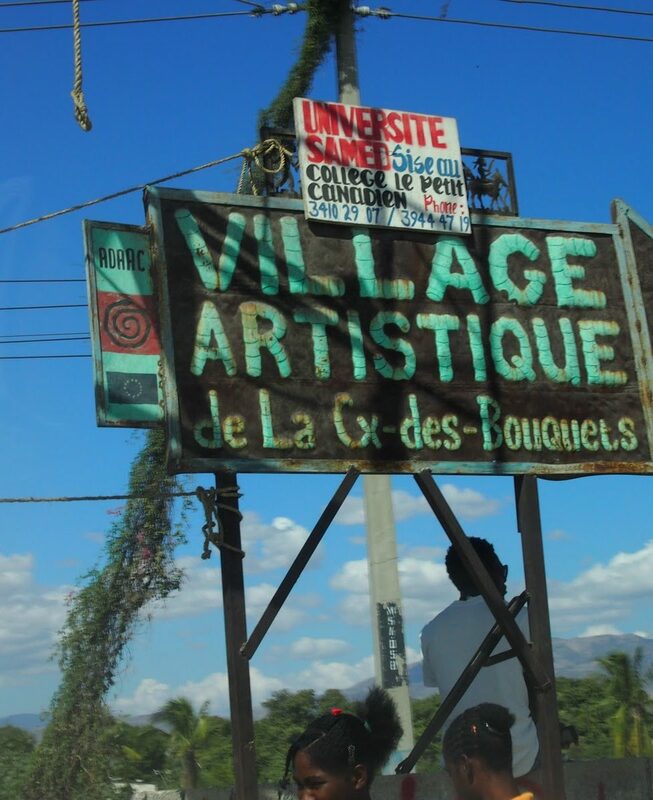 distributing food is difficult in Haiti, we have seen riots, as people rush trucks that distribute food. It was determined that food would be distributed through a local Haitian store. This would provide secuity in distribution. Local Pastors would have a store credit to help feed their congregations. Funds will be provided by LCMS to to buy the food. work with Pastor Toulotte to get the materials delivered and installed. Pastor Toulotte will inform his Pastors of the procedure to distribute food. This was the initial plan. Jackie Rychel of Ministry In Mission headed to the U.S. to write grants and to wire money to our Haitian partners to carry out the plan. 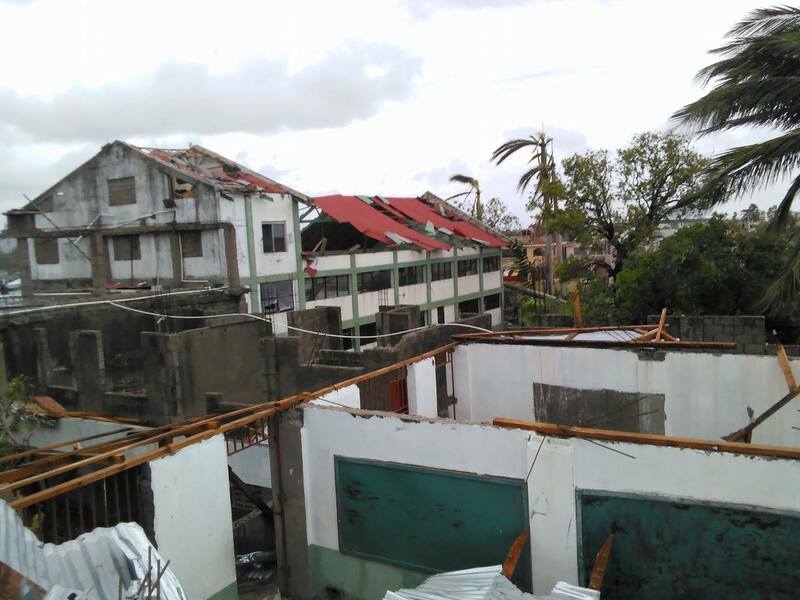 Jeff Nyquist of St. Peter Schaumberg IL and Lionel Legute of the Haiti Mission Project stayed in Haiti for several more days to try and reach extreme outlying areas that need help. 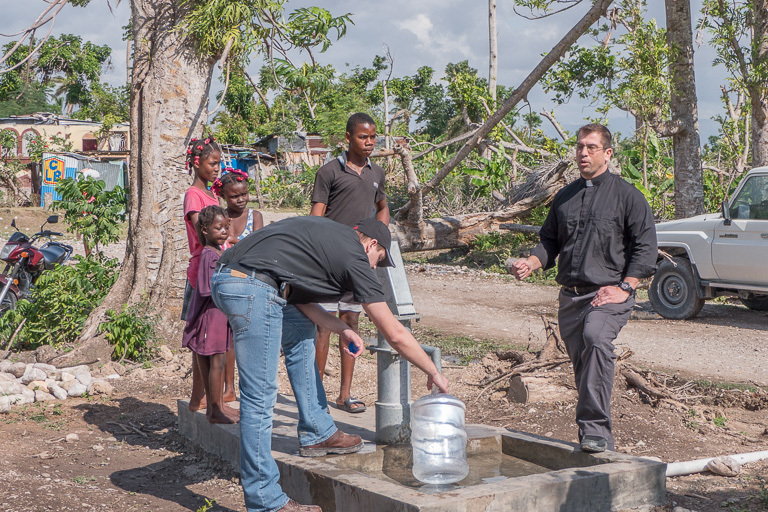 They were also to meet with well drillers in Haiti to assess drilling wells at churches in the mountains around Les Cayes to provide clean water. We are on the ground in Les Cayes since Tuesday afternoon and surveyed the damage in Les Cayes with Rev. Ross Johnson, the director of Disaster Response from the Lutheran Church Missouri Synod (LCMS). We had met with Rev. Ted Krey from the LCMS and Tim Hetzner from Lutheran Church Charities in Port Au Prince to discuss strategy to deal with the disaster. Rev. Elione Bernard, President of the Evangelical Lutheran Church of Haiti, Rev Thomas Bernard and Rev. Marky Kessa of the ELCH were also present in Les Cayes. We visited a number of Lutheran churches in the mountains surrounding Les Cayes to give them enoucouragement and assess their needs. Today we are we are planning with Rev. Paul Touloute , President of the local ELCH district to bring food and roofing supplies to the local Pastors to help them rebuild their homes and help them serve their congregations. We are trying to co-ordinate cholera medicine and get it air lifted from Port Au Prince . All food airlifted early in the first response phase of the disaster was distributed. Internet access is difficult and the ability to send back pictures is difficult. 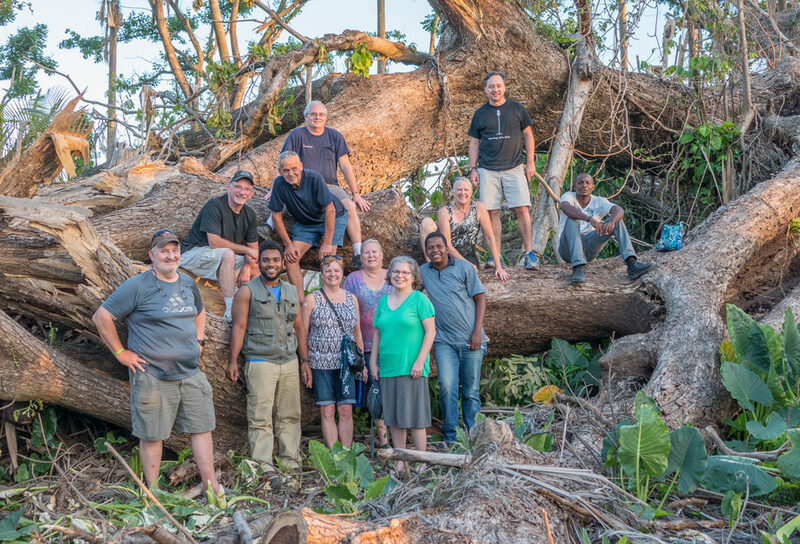 Ministry In Mission will be sending a team to Les Cayes Haiti along with Lutheran Church Missouri Synod Disaster Response (LCMS), Lutheran Church Charities (LCC) and a team from St. Peter Lutheran Church,Schaumberg IL. We plan to follow up on the 120,000 meals air lifted to Les Cayes and help LCMS and LCC ascess the need. We will help them with our contacts in Les Cayes and throughout Haiti so that we can best serve the people of Les Cayes and other areas as we are able. We are not sure what type of communication capability we will have but will keep you informed as best we can. Thank You for all your support! We are hearing about awesome prayers and collections for support from the many churches that have partnered with us in Haiti. that near 100% crop loss is throughout Southern Haiti…Many homes, churches, and schools in our local and partnership church communities have lost roofs, and or the structures themselves…Many animals have been lost…Access to clean water has been dramatically reduced. The worst of the devastation is Port Salut West to Dame Marie. Jeremie is close behind, and then Les Cayes. Food is already scarce. 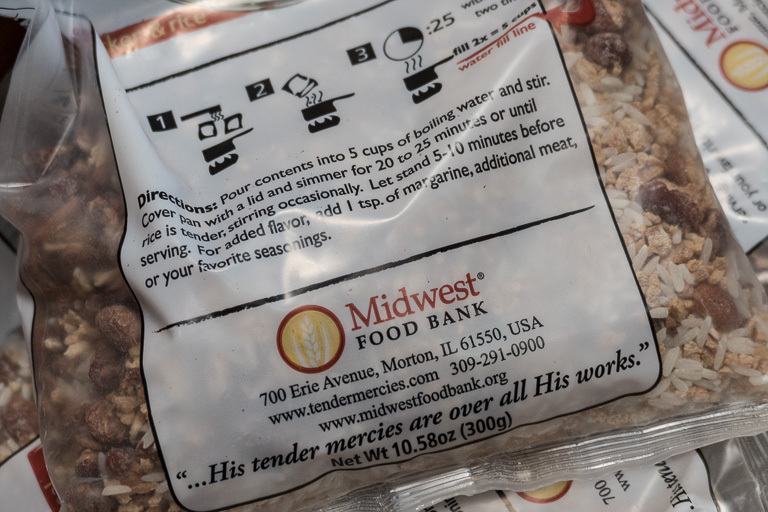 Ministry in Mission is partnering with the Lutheran Church Missouri Synod disaster response, Agape Flights, Lutheran Church Charities and many Churches throughout the country to get food and humanitarian supplies to the areas that need it most. It is very hard to get information as cell towers are down. The infrastructure is so poor there may not be electricity for weeks. Many will recognize this Lutheran Church in Les Cayes where we have worshiped and the attached school. Please help continue the relief effort. Many friends and missionaries from Ministry In Mission have visited and helped the people of LesCayes Haiti. Those people need our help to survive the devastation of Hurricane Matthew. Les Cayes seem to be the worst hit. Several sources have said a bridge is out, from Port Au Prince to Les Cayes so they are cut off from receiving supplies by road. 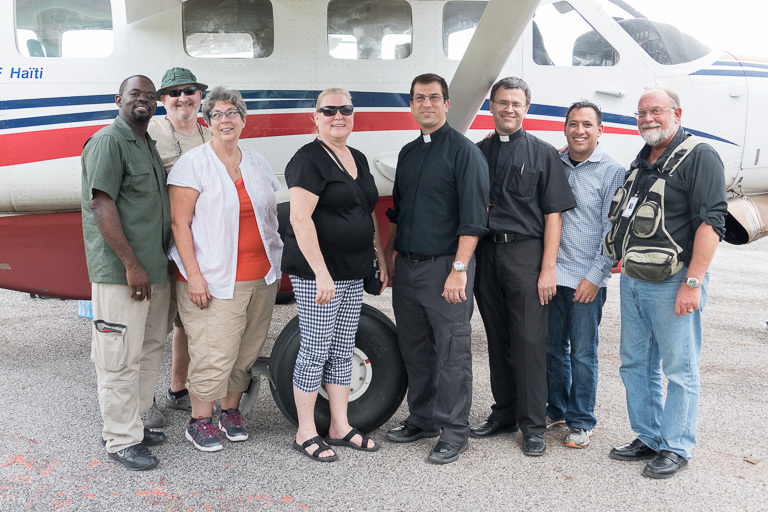 Jeff Nyquist from St. Peter Lutheran Church in Schaumburg, IL is working to arrange a flight by Agape Flights to Les Cayes with humanitarian supplies . Agape air will be flying in with 60,000 meals, tarps and water filters on Friday or Saturday. We need $5000 per flight and we are not sure how many flights will be scheduled. We are deeply concerned about Nora Leon and Pastor Bertrand on Île-à-Vache, the island off Les Cayes, one post said it was devastated but have had no word from people we know. The people we mission to in Jacmel are fine as far as we know. Please pray for those affected by the hurricane in Haiti as well as those responding to their needs.